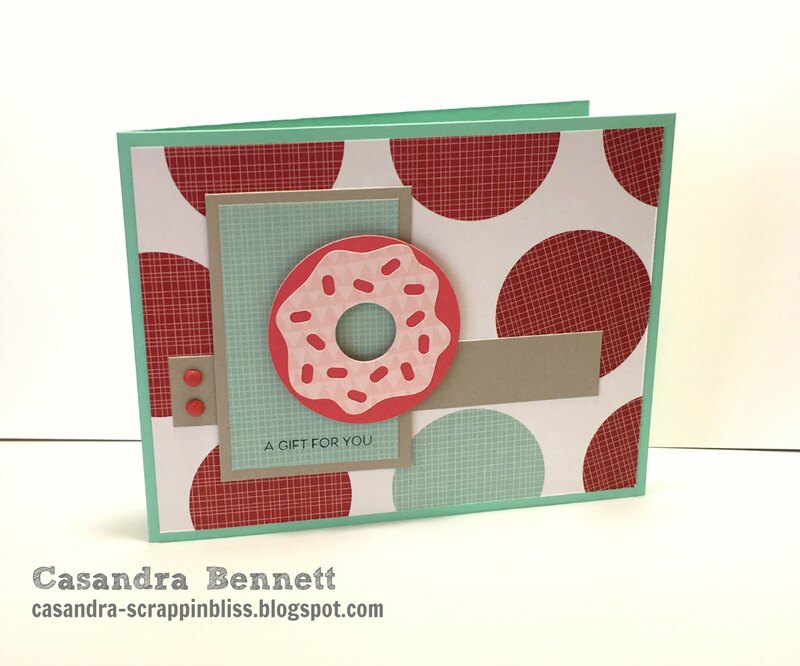 Today, I would like to share with you a card I created with the new (and popular) Sugar Rush collection from Close To My Heart. I am currently awaiting an order that has a donut die cut bundle (matching stamp and dies) in it. I remember seeing a donut shape on our Artistry cricut cartridge so I quickly opened up Design Space and searched for donut. The more I use my cricut explore air, the more I love it. This year, I am challenging myself to use up my scraps, even the smaller ones. The donut on the inside was made using small pieces that I would have had to toss otherwise. It will be a "sweet surprise" for the recipient when they open the card up. 2) Seize the Birthday "Anything Goes"
I have a couple of more cards to share with you today for various challenges, so please stop back. Love the donut! This card is too cute. Thank you for joining us at Tuesday Morning Sketches. What a great card! Love how you decorated the inside as well. Thank you for inspiring us at Between The Folds Bi-Weekly Challenge Blog. Fun card! Love how the circle background complements the donut theme. Love the mini donut inside :) Thanks for playing along at Seize The Birthday!